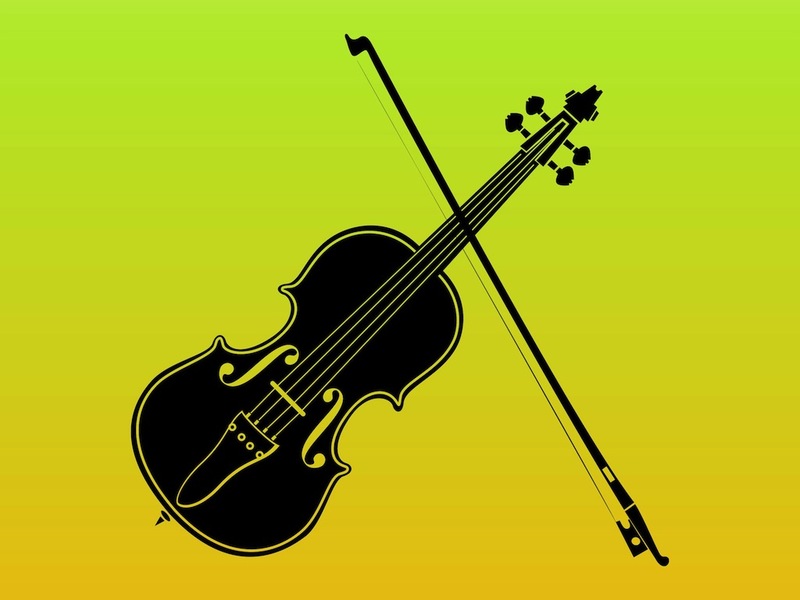 Vector illustration of a string musical instrument. Silhouette graphics of a violin and a bow crossing each other. Free vector illustration for all music, musical instruments, melodies, playing an instrument, live performances and concerts projects. Download free decoration for your posters and flyers projects. Tags: Bow, Melody, Music, Musical Instrument, Play, Silhouette, Strings.